I’ve spent the best part of this year dashing about Europe with a carry on in one hand and a guidebook in another, not stopping for breath or in some cases a nap between cities. I’ve loved exploring some of Europe’s most exciting cities over the past 18 months, but running out of time, pennies and energy has put paid to any major exploring for the rest of this year. But, the travel fun doesn’t have to stop, does it? I live on the outskirts of London with the entirety of the UK at my disposal, and some of England’s most picturesque locations a mere 90 minutes from my front door. A plan was hastily hatched to spend a spare weekend visiting one of the most important and historical cities in England, and it played rival to any European great we’ve seen recently. So here’s how we spent a weekend in Salisbury. There is no doubt about it, a weekend in Salisburytaking in all that it has to offer is done more easily by car, which is what we did over our weekend away. Salisbury is under 2 hours away from London by car, accessible by a range of different motorways and is also easily reached from places such as Bath, Bristol and Gloucester. We could zip between places on our first day, making sure we’d seen everything we’d planned to by being in a car on our own terms, but if you don’t have access to a car don’t despair, there are plenty of ways to Salisbury! Salisbury has a well served train station right in the heart of the city, which can be reached from all over the UK (and in about 1 hour, 40 minutes from London). This also makes it a great location for a day trip if the mood took you, but I still think a weekend is worthwhile. Once in Salisbury, there are bus options to get to Stonehenge via The Stonehenge Tour, which operates as a hop on, hop off service and can include entry to Stonehenge, Old Sarum and Salisbury Cathedral. You can buy tickets directly on the bus (it leaves from Salisbury Train Station) or you can buy tickets online for £35 per adult for all three attractions and commentary on the bus. That’s incredible value, given advance tickets for Stonehenge alone are £14.50. So even without a car, there are plenty of ways to see Salisbury and its surrounding area (and I’m thinking of doing a day trip by train so I’ll report back on my experiences). There are lots of places to stay right in the heart of Salisbury for one night (at a range of price points, although we did notice that Salisbury hotels were a little more expensive than other UK destinations), but if you leave util two weeks beforehand to book something, your choice will be somewhat limited. Salisbury is a pretty popular tourist destination due to its Cathedral and historical places of interest and as it is Summer, hotel rooms were a little harder to come by. This turned out to be a good thing though. We quite fancied being based in the heart of the city and spending the night wandering side streets and drinking something yummy on outdoor tables to take advantage of the min-heatwave we are having in the UK. However, given we wanted to spend our weekend exploring both Salisbury itself and wider attractions in Wiltshire, staying outside of the city turned out to be a really smart move. We stayed right in the heart of Wiltshire in between Stonehenge, Old Sarum and Salisbury (our key visiting destinations) at The Stones Hotel for an absolutely bargain price of £63 per room. Bear in mind it is height of season, in a relatively expensive destination and a last minute booking, and you’ll realise this is an incredible price. As well as having its own bar and restaurant on site (which was very nice, we ate dinner there during our stay and it was good value and very tasty), The Stones Hotel is 5 miles from Salisbury Cathedral, 8 miles from Stonehenge and very close to Old Sarum Castle. It has a car park and its own terrace, the downside of which is that the hotel is situated right beside A345 road. But this is a very small price to pay. Salisbury has so much to do that you won’t cover it all in a weekend away, and in any case Salisbury is the perfect city to wander around and soak up the atmosphere, as opposed to spending every last second in a museum. In fact, we spent a lovely 45 minutes sitting and napping on a bench under a tree in front of the Cathedral which although seems like a waste of time, provided sweet relief from the seriously warm weather we were having. Places we didn’t visit include The Salisbury Museum, Mompesson House, St Thomas’ Church, The Medieval Hall, Wilton House, Arundells and The Rifles Museum, so as you can see there is a huge amount to do here. A return visit is definitely needed! Here’s what we managed to squeeze in in our two days – with everything in Salisbury city centre itself taking place on one day, and wider attractions on the other. Visiting Stonehenge was where our weekend trip idea had really begun. Given the fact that I’m 34, have been living just 90 minutes away and have driven past it many times on the way to Glastonbury Festival it was bizarre I hadn’t yet visited, so I decided to rectify that this Summer. The good thing is, it wasn’t a let down. Now there are a few myths I’d like to bust right here. You can’t just pull up in the car and wander up to the stones all willy-nilly. Perhaps that was true in the distant past, but now the site is managed and maintained by English Heritage, access is strictly a ticket only business except for solstice days where they provide free access for worship. You also cannot get right up close to the stones unless you buy a very limited and very specific stone circle access ticket, which allows you to visit before or after opening hours for £35. In terms of visiting time, I would allow 2-3 hours depending on whether you are going to walk up to the stones from the visitor centre or not. English Heritage provide a range of itineraries for spending time at Stonehenge if you are planning to make a full day of it. Cost: £16.50 per adult in advance via the English Heritage website, and £17.50 on the day. You can also hire an audio guide for £3 but if you are able to I’d recommend downloading it on either iPhone or Android in advance for free. There is a refundable charge of £5 per car if you have not bought a ticket in advance. You get that back when you purchase tickets! Woodhenge, Stonehenge’s little known little sister is just a short 10 minute car ride away, and gives another perspective on our mythical Neolithic ancestors and the rich archeological landscape that this area provides. This area’s ancient landscape is really wonderful to both walk and drive through, with the dips and curves of the land showing where burial sites might well have been. Woodhenge is thought to be the remains of a large burial mound from 2300BC, and today concrete posts have replaced the six concentric rings of the original timber posts which once stood there. There is very little else to see here, but it makes a super add-on to a Stonehenge visit to really help you get a feel for the area. The views from the car park over Salisbury Plain are astonishing too, so it’s a great place to park up and stretch your legs! Cost: Absolutely free – there is limited parking on the side of the road and no facilities there, although the area is maintained by English Heritage. Old Sarum is the original site of Salisbury, and Salisbury Cathedral before they both moved down the hill in the 1300s. Originally an Iron Age hill fort, there are over 2000 years of history that can be discovered here involving the Romans, Normans and Saxons – and you can get a real insight into how Salisbury as the city we now know was established. When visiting, you can see the original hill fort with a deep ditch that was the original moat, the ruins of the royal castle and the foundations of the original Salisbury Cathedral – as well as the best view of Salisbury Cathedral from the top of the hill. The medieval castle was built around 1070 by William the Conqueror, and is such an important part of UK history (every school child in the UK studies William the Conqueror and the Battle of Hastings, with the date 1066 firmly etched into our minds. It’s definitely worth a visit, but it won’t take too long – 90 minutes at most, making it an ideal companion to time spent at Stonehenge. Cost: £4.80 per adult on the day (payable to English Heritage) if you want to get inside the ruins of Old Sarum Castle. I’ve had a thing for wonderful English gothic cathedrals ever since I studied in a traditional cathedral city for University (Canterbury), and Salisbury has long been on my list to see because of its own unique history of being a cathedral that was moved (from Old Sarum). It’s a beautiful, huge, imposing building set in a gorgeous green space with its spire climbing right into the clouds. It’s just as impressive inside too, and it was easy to lose perspective when walking around. There is so much to see too – both the cathedral itself as well as it’s cloisters and the Chapter House which displays one of only four copies of the Magna Carta (it’s the best preserved too). You can also go inside for a service, and listening to the choir in that huge building was honestly one of the most moving things I’ve ever heard. The best thing about visiting Salisbury Cathedral though is its Tower Tour – an opportunity to climb 332 steps to get a real look inside how they built it’s iconic spire. Not only are you treated to an amazing view of Salisbury at the top of your climb, you also have the opportunity to hear the famous bells inside the tower – a loud, but thrilling experience! Cost: Free if you go in just to experience a service, but note you won’t be able to look around or take photos. It’s also free to enter the cloisters and see the Magna Carta exhibition in the Chapter House. It’s suggested donation of £7.50 per adult for Cathedral access, and £12.50 per adult for the Tower Tour which includes access to the Cathedral, and is bookable in advance. Salisbury is just extremely pretty. 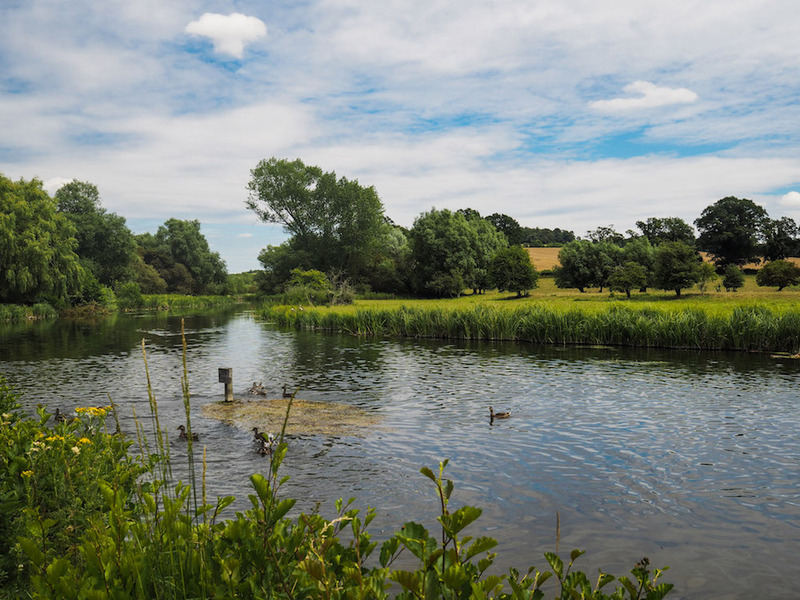 It’s set upon five rivers – the Nadder, Ebble, Wylye, Bourne and the Avon and you can spend a little time wandering around the rivers and green spaces that are plentiful in Salisbury. It’s a compact city that is really easy to explore via foot and we spent time strolling and ducking down pretty side streets for most of the morning. As well as napping under a tree on a bench with a view of the Cathedral…the romance! But like many other English cities you can find gorgeous original medieval buildings, cobbled streets, an old market square (marked by a wonderful Poultry Cross monument), a newer market and a number of churches – all of which can be explored in a very relaxed fashion. Whilst Salisbury does have modern shops and restaurants, the feel of the city has been really preserved and nothing feels terribly out of place. It’s a perfect way to while away a couple of hours in between major sightseeing. In Salisbury, you’re in awesome pub territory, and there are no end of traditional English pubs to grab a cider and a roast dinner if that tickles your fancy. Salisbury itself also has lots of the usual chain restaurants too, so you can guarantee you’ll be well watered and well fed during your stay. Based in a cute village close to Salisbury, The Bridge Inn is a gorgeous little gastropub nestled right next to the River Avon with absolutely unparalleled views and genuinely good vibes. With white wood interiors, local beers on taps and probably the best pub garden I’ve ever sat in the food was pretty good too. It was an extremely hot day (luckily we managed to witch to an outdoor table with some shade after a little wait), so I ordered a cider and a very tasty and fresh salmon salad, whilst Mr S washed down his Ham, Egg + Chips with a local ale. It wasn’t the cheapest lunch we’ve ever eaten (the two drinks and meals came to somewhere in the region of £35+), but it was such a lovely setting that we didn’t mind at all. A small chain cafe based largely in the South-West of England, Boston Tea Party is nestled right in the heart of Salisbury in the former location of The Old George Inn, a Grade 1 listed building dating back to the early 1300s. It once boasted the likes of William Shakespeare, Oliver Cromwell and Samuel Pepys amongst its guests, which is basically as cool as it gets if you are a history buff like me. Open for breakfast, brunch, lunch and all the tea, cake and coffee you can handle, we of course settled in for brunch in the outdoor seating, listening to the bells of St Thomas’ Church as we ate. Blissful. We ate a luxury brunch of Eggs Royale, Sweetcorn Hash, fresh orange juices and flat whites and I could absolutely see this becoming a Sunday tradition if I was a local! Probably one of the best pubs I’ve ever been in (and I’ve been in many). Can I move somewhere, just for a pub? Maybe not, but it is seriously tempting. The Old Ale and Coffee House is less than 5 minutes walk from the Cathedral and it’s been lovingly designed with an eclectic mix of sofas, washed wood, an outdoor gin and fizz bar, a traditional red telephone box and gorgeous beach huts in the garden. I felt really at home here. But more than that, the service was incredible. 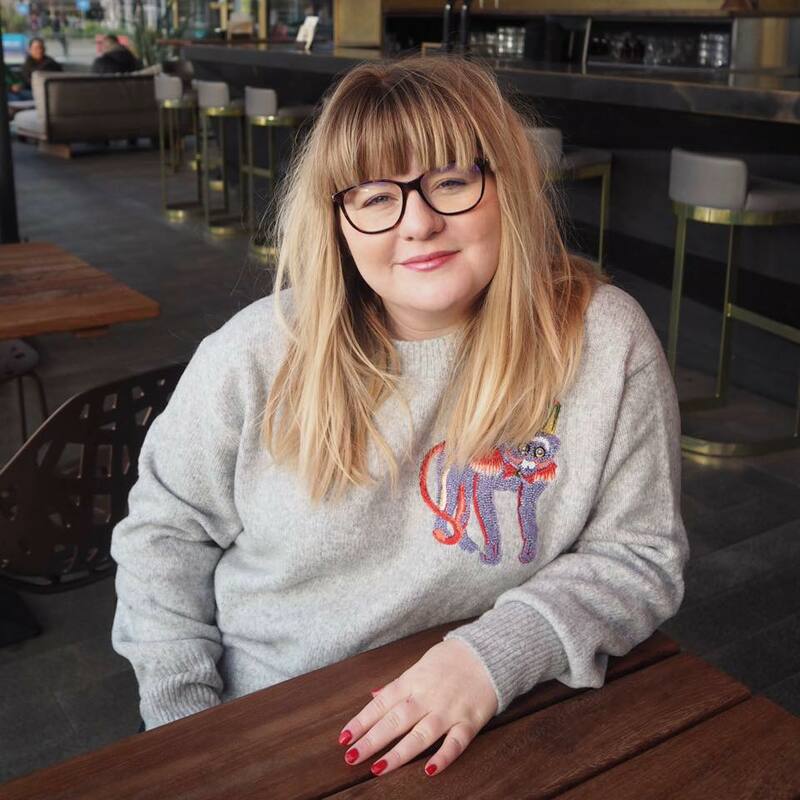 I’d booked a table (I didn’t actually need to as we were having an early lunch), and as I walked in I was immediately greeted like an old friend, we laughed about my booking and when I asked if we could sit outside a table was hastily readied. I was made to feel like a local, not an out of towner and as someone that has often found decent local pubs practically locked off to visitors this was a rare and welcome surprise. We’d booked for a roast dinner, but in the face of a heatwave and epic sunburn I opted for a huge and delicious chicken and bacon salad, whilst Mr S had fishcakes. Totally delicious. Can I go back *just* to visit this pub? If you haven’t already picked up on the fact that this was one hot weekend, then let me reiterate it was hot. And when it’s hot, the best thing you can do is eat gelato. We picked up a double scoop each from Sprinkles Gelato which was pretty tasty – I had pink bubblegum and red orange, whilst Mr S had smarties white chocolate and strawberry. It was just what we needed before the rather warm drive home. You know when you just arrive in a place and you feel completely at home? This is how I feel about Salisbury. Perhaps it was the glorious weather, the relaxed way we approached the weekend or the fact that I really really really needed a little break away. But I instantly felt like I could live here immediately, and we spent our lunchtimes looking up house prices as if this was a ting we would do. We wouldn’t, right now. But never say never! In all, Salisbury is an excellent, if not underrated weekend trip away – weather you live in SE England and are looking for somewhere to go, are visiting London and want an easy day trip by train or you are planning a huge UK adventure, add one night in Salisbury to your plans. Because a weekend in Salisbury is always a good idea.